Michele Moody-Adams is the Joseph Straus Professor of Political Philosophy and Legal Theory in Columbia University’s philosophy department. She also served as the dean of Columbia College and Henry L. and Lucy G. Moses Professor and vice president for undergraduate education. Before coming to Columbia, she was vice provost for undergraduate education at Cornell, as well as professor of philosophy and director and Hutchinson Professor in Cornell’s program on ethics and public life. She has also taught at Wellesley College, University of Rochester, and Indiana University at Bloomington. She does research and teaching on a variety of issues in ethical theory, the history of ethics, political philosophy, the philosophy of law, and the history of philosophy. She has published numerous articles on social and economic justice, moral psychology and the virtues, feminism and equality, and the moral implications of reproductive technologies. She is also a widely cited author on work in moral relativism and moral objectivity, most notably Fieldwork in Familiar Places: Morality, Culture and Philosophy (Harvard University Press). She is currently at work on a book about the complex connections between morality and history, exploring reparations claims, truth and reconciliation commissions, national apologies, and the idea of forgiveness. She has been a National Endowment for the Humanities Fellow and a Marshall Scholar, and she serves on the editorial board of several scholarly journals. She was recently named an Honorary Fellow of Somerville College, of Oxford University. 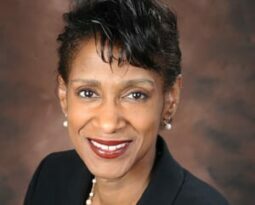 Michele Moody-Adams received her undergraduate degree from Wellesley College and a second B.A. from Oxford University, and she received her M.A. and Ph.D. in philosophy from Harvard University.